Sahlgrenska University Hospital is one of the country’s largest university hospitals and has the competence to perform the most advanced treatments and surgeries permitted by today’s medical development. In total, it has 1,950 beds divided into approximately 120 wards. Patients from the entire region come to the hospital for various specialist treatments and information is also disseminated to the region. There are 25 specialties with leading experts who treat patients from all over Sweden, including in cardiovascular care, reconstructive surgery, paediatrics, vaccines, immunology, rheumatology and catheter-based interventions. Queen Silvia Children's Hospital, which has been designated as a nationwide referral centre for paediatric cardiac surgery by the National Board of Health and Welfare, is also part of Sahlgrenska University Hospital. For Sahlgrenska University Hospital, we have translated research material and more. This is sensitive material with highly specific terminology. 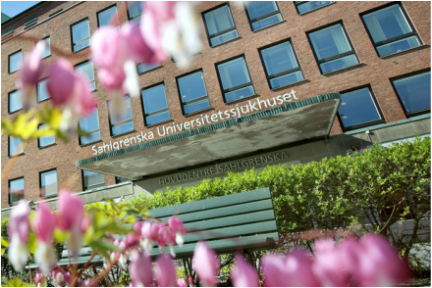 To produce the best possible results, we have a close dialogue with Sahlgrenska University Hospital in which we comply with terminology lists, delivery times and other needs. The project also required the right translator with specialist knowledge in the research area and medical terminology.